577 spaces, including 12 handicap. Clearance height 6’9″. 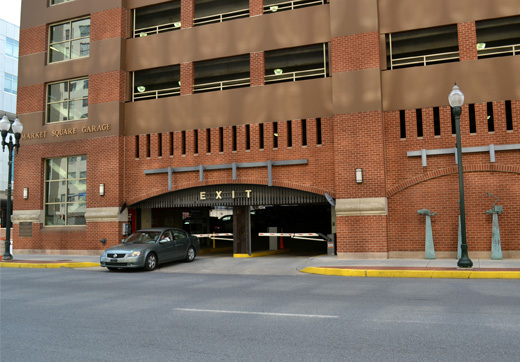 Daily parking customers may enter or exit the garage at anytime 24 hours a day, 7 days a week with a ticket.